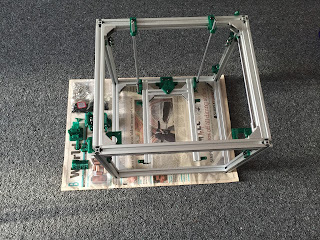 The Z axis is in place and moving freely, even though It has no lm8uu clamps yet. I haven’t cut down my Z smooth rods from the ordered 380mm to 340mm. It sticks out the top I don't mind that. The Y axis is in place. The rods from china where fractionally over 300 and had to be trimmed. This was time consuming, being hardened steel. Putting this together I am looking at the Y axis, if I was to lower the top X and Y tslot and put the Y axis on top, this would increase the Z axis depth quite a bit, for the same parts. I may try this after its done. Or maybe I'm missing something that not obvious yet. Next I need to reprint my Dual bushing holders as my bushings will not fit. I've found that most holes are too small and need drilled, luckily with 3 perimeters, this is not an issue. Some of the m3 nut traps are very tight and needed a bit of work to get them to size. 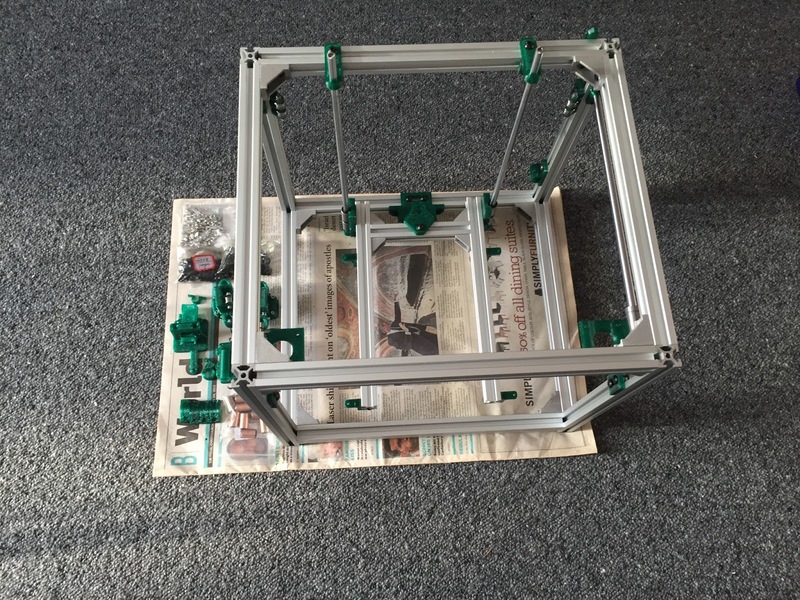 I am still waiting on X axis rods, and a bunch of M3 screws and belts + pullies. Lucky tomorrow most places are at least partially open after xmas, so I should be able to get the remaining m3 hardware.